We have already mentioned here that sony max and sony six are the channels airing live ipl season 8. If you are a direct to home dth user, you need to activate these channels. 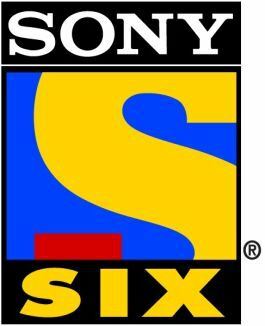 some providers offering sony max free in basic packages, but sony six and sony six hd is not free for all. you need to activate these channel to watch the live action of ipl 2015. You can call the customer care service and ask to add this channel, or sms to them activate sony six. We have already posted the availability of sony six channel in different dth service providers, you can read about the sms codes from here. SMS Codes to Activate Sony Six In Reliance Digital TV – Follow the sms code to activate sony six channel in big tv and watch the live coverage of ipl season 8 through reliance dgital tv. You need to send the message ADD to 56633 from your registered mobile number to activate sony six channel in tata sky. You need to follow further instructions to activate sony six via sms codes. Videocon D2H – Sony Six and Sony Six HD channels are available on videocon d2h. To Activate this channel SMS to 09212012299. ADD SIX from your registered Mobile Phone. Dish TV To activate Sony Six in Dish TV you need to send the activation code to to 57575 or 09250078787. check below for the activation sms code of sony six in dish tv. Where and how to pay the money?